The next instructions were written by the developer Stancecoke on the page that he maintains. A few steps are required to set up the software. But they should also be feasible for inexperienced computer users :-). 2. download the SDCC archive, a 32 bit version is no longer available. Create a folder named "SDCC" directly at C:\ and extract the archive to this folder (use eg. Winrar for extracting) If you extract the files to a different path, you have to adapt the path information in the Start_Compiling.bat in the firmware folder of C#ROME-B, see next step. 4. download and install ST Visual Development with the default settings. If the path to the file "STVP_CmdLine.exe" is different from "C:\Program Files (x86)\STMicroelectronics\st_toolset\stvp", you have to edit the first line of the "Start_Compiling.bat" and the"WriteOptionBytes.bat" according to your path (right click on the .bat-file -->edit) . To download the software you have to enter an e-mail address, to which the download link will be sent. This has not caused any unwanted advertising mails/newsletters for me. To be able to build the firmware, you will need to install the SDCC C compiler (and other tools like OpenOCD that will let you flash and debug the firmware). Please start by installing stm8-binutils-gdb. 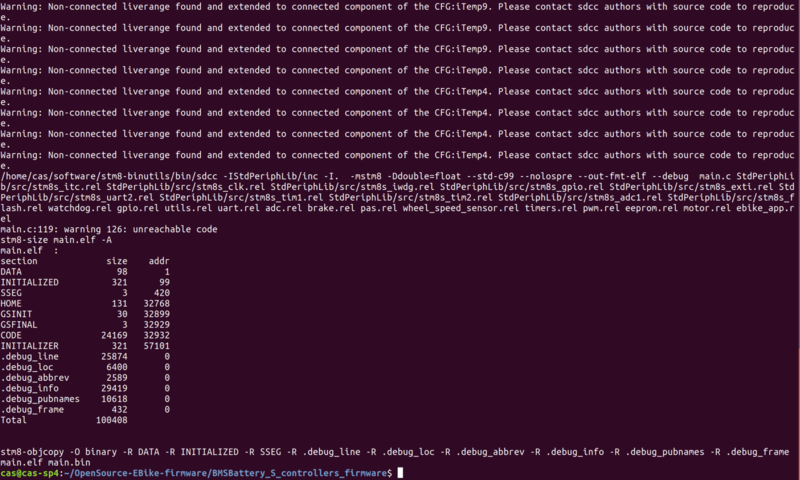 You many need to edit the Makefile on the sources folder, to point “CC=” to the path were you installed SDCC. You will get main.bin firmware file that will be ready to be flashed. Before being able to flash, you will need to erase and unlock protected read memory.